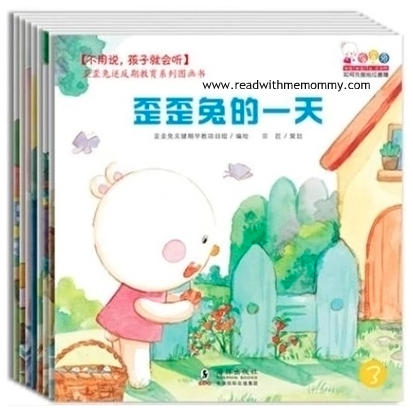 Bunny YY comes in a set of 8 books. The following are the titles for the bookset. Each book comes with a different theme. While the storyline are easy to understand, the language used may be more suitable for children of 6 to 10 years old or primary school level (for local context). There are no hanyu pinyin in the book. Each book is about 22 pages long.